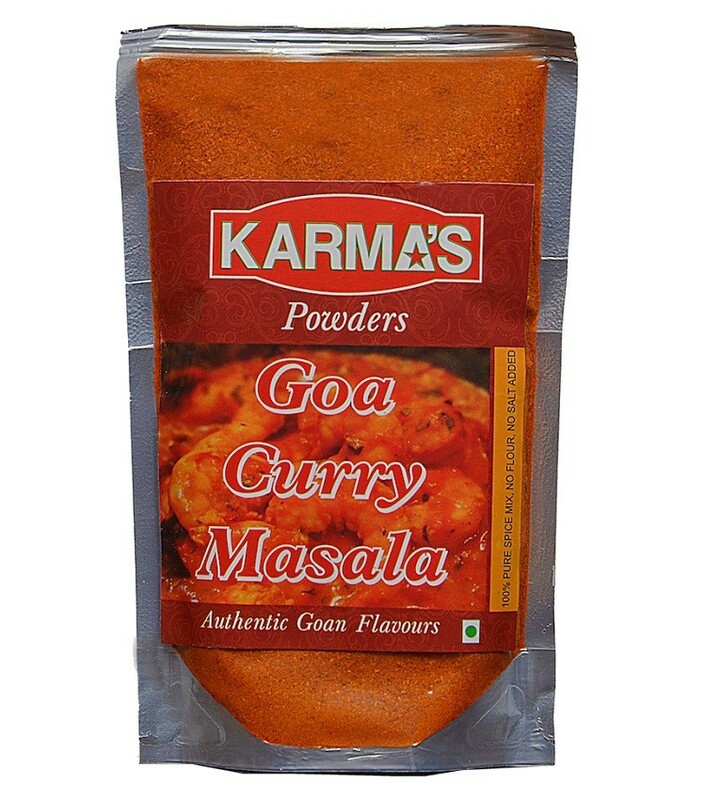 Buy Goa Curry Masala of Karma Foods from Margao online | Authentic Indian Sweet , Savories and Delicacies from the place they originate by Moipot. 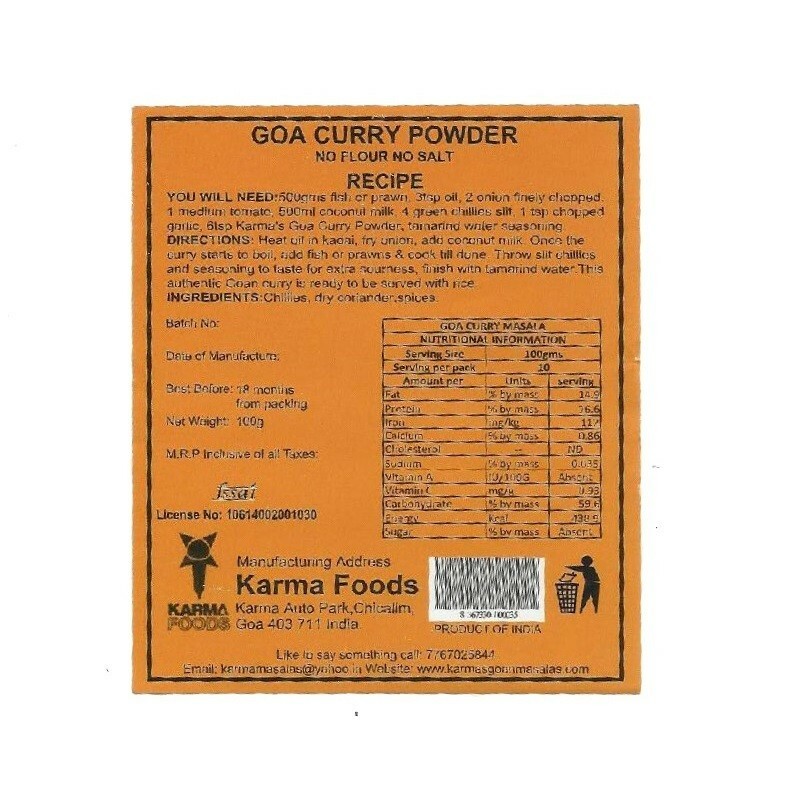 Enough of those routine curries, try this special goa curry masala by Karma Foods that is a true heaven for all the non-veg lovers. A very different taste it is and will leave your taste buds wanting for more! Treat yourself to restaurant style fish curry or prawn curry and we are sure that classic Goan taste will not leave your mouth even after a fulfilling meal.